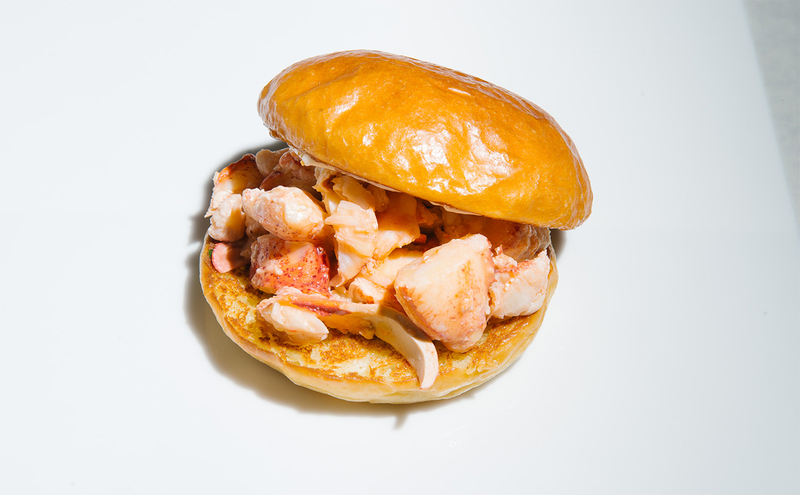 2014 saw a whole slew of food fads hit the city, but none quite as impressive as the lobster roll. While working on our run-down of the best in the city, we ate as many as Singapore had to offer in a two-day blitz, and nothing left quite the impression that The Cajun Kings' take did. For one, the brioche here is round. Custom made by The Bread Table for the Kings, the lightly crisped, buttery bun gets an extra dose of creamy flavour from clarified butter drizzled on. 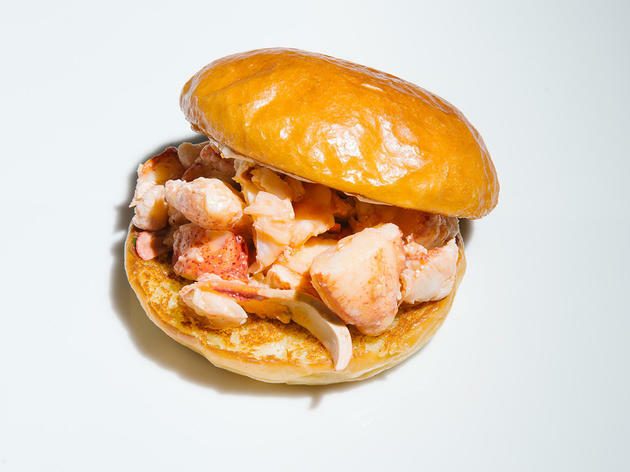 The almost-burger comes packed with approximately 180g of crunchy lobster meat that spills out each time you try to wrap jaws around the glossy bun. Way messy, but way satisfying. 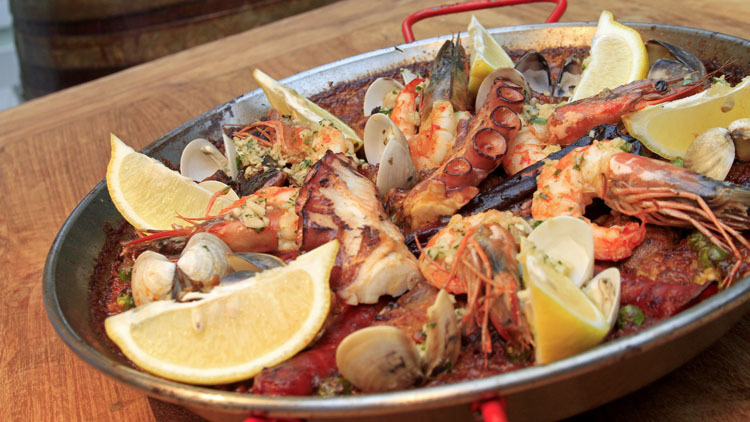 Chef Jean-Philippe Patruno's paellas reign again. 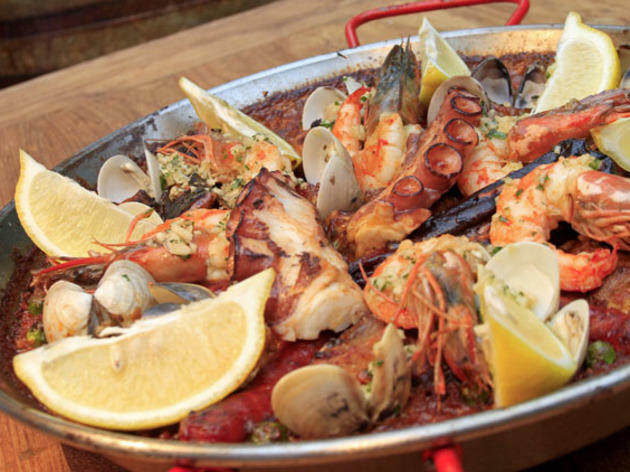 After a rather lacklustre opening in April muddied by cramming three cuisines into a confusing menu, Rochester Park's UNA finally acknowledges the chef's Spanish cuisine smarts, first showcased at Bomba Paella Bar on Martin Road. Here, his signature rice dish topped with an array of sea life and chicken trumps the Bomba version with an even richer stock that makes biting down on the crunchy crust below even more gratifying. 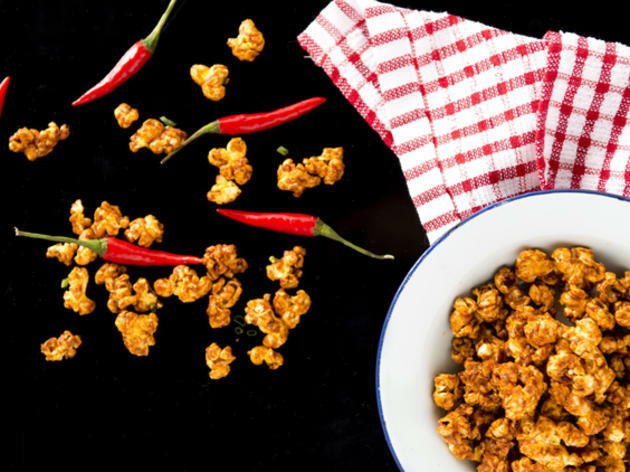 Singapore's lagging a little in the sriracha uptake, but it's clearly better late than never at Duxton Road's upmarket zi char. 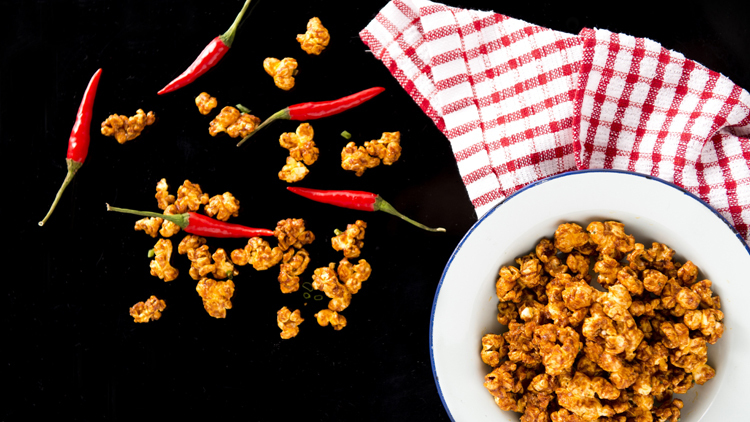 Arriving on the takeaway brown paper wraps you'd get at the hawker centre, Prawn Star's kitchen coats popped kernels in a sriracha glaze that's spicy-sweet, and the perfect pairing for the craft beers on offer. Bag it and sell it for takeaway already, will you, Prawn Star? A whizz at making off-cuts shine, chef Asai Masahi turns out one of the most revelatory offal dishes of the year. 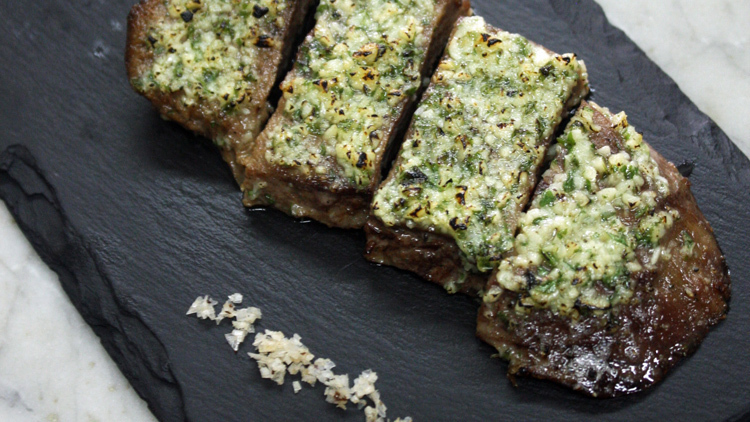 At Bincho, he pressure cooks strips of wagyu beef tongue, before giving it crisp crust and a coat of binchotan smoke. 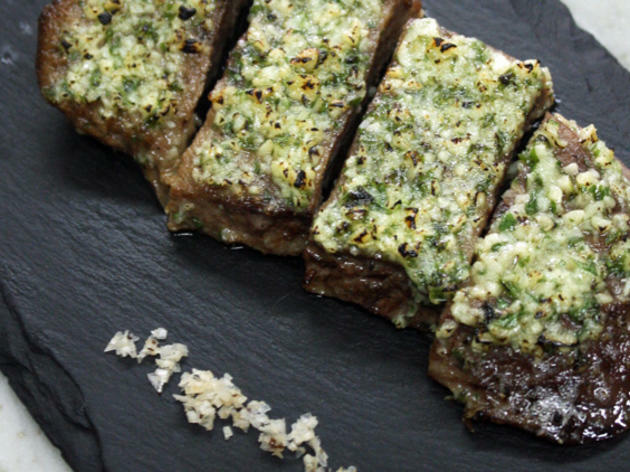 Each slice of the yielding meat literally melts in the mouth with a buttery, fragrantly garlicky finish. The dish is so loved that even Moosehead's made it a permanent one on their own menu, after the restaurant and Bincho worked out an exchange programme of their signature dishes. Good move. Corner House's chef Jason Tan really loves his onions. 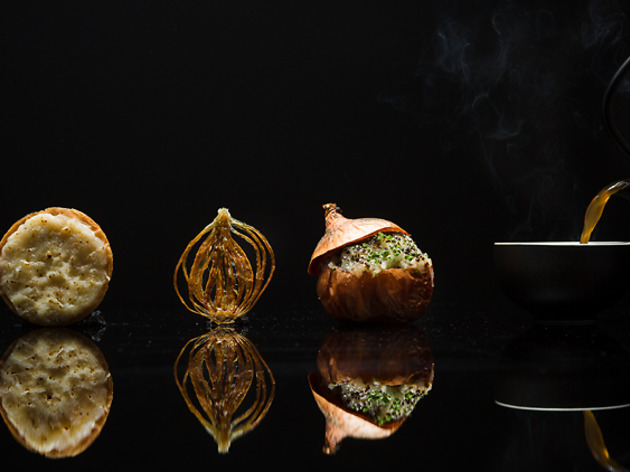 This appetiser, part of his nine-course Discover Menu Experience, arrives with French Cevennes onions done three ways. Lift the cap on the copper-skinned onion to reveal an oven-roasted onion puree, enriched by flecks of black truffle and slow-cooked egg. 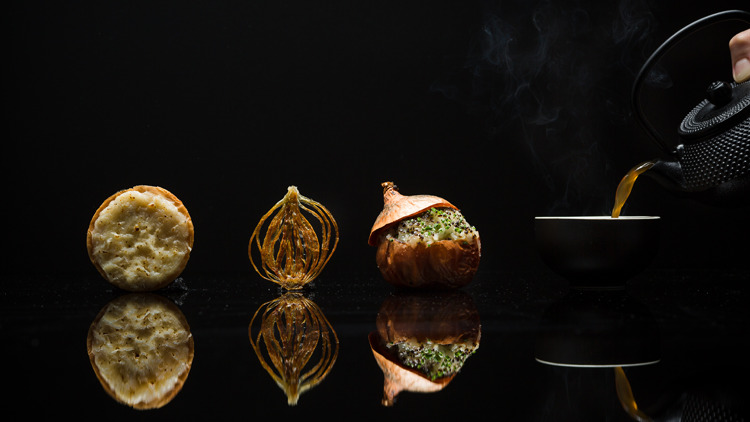 Crunch on the thin cross-sectioned slice of onion dehydrated and lightly fried, then finish with a teacup of sweet onion juice, paired with an Earl Grey Ying Zhen tea. Download the FREE Time Out iPhone app to get first dibs on the hottest new restaurants in town.